Ross Tooley has trusted God for miracles and his finances for decades. His stories about accomplishing things for God against impossible odds will thrill you. They also give biblical keys for you to operate in faith. 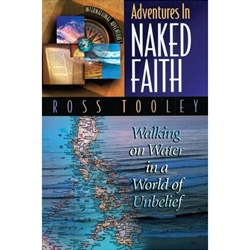 Ross lays the groundwork by noting the need to hear from God before stepping out in the great unknown. His stories illustrate the pitfalls of pride, prayerlessness, lack of perseverance and lack of love for God and others. The stories also demonstrate the exhilarating rewards of putting your life in the hands of a living, loving God. This book has been called Is That Really You God Part Two, and is definitely recommended reading!